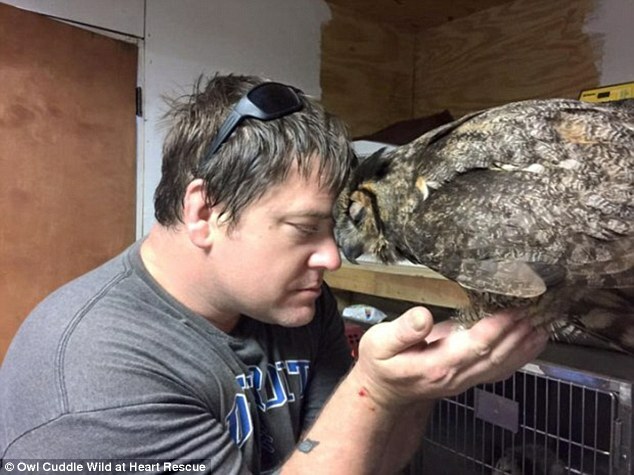 This is the heartwarming moment a huge great horned owl gave the man who saved its life a massive hug. 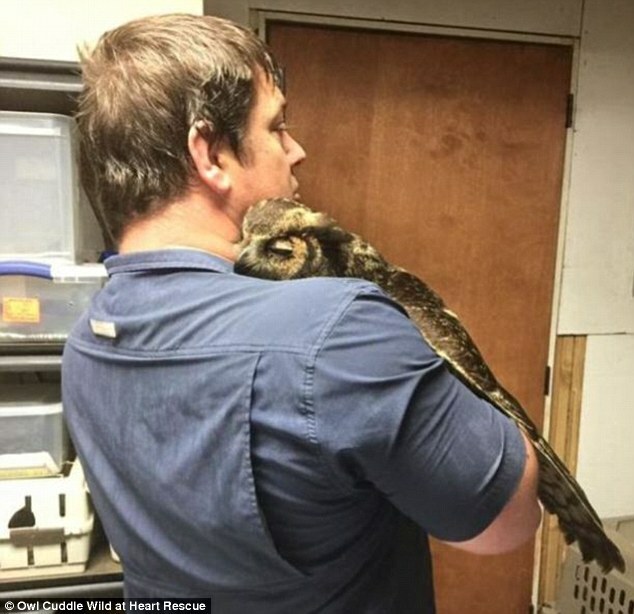 Doug Pojeky, president of Wild at Heart Rescue in Vancleave, Mississippi, had been away at a family event for a few days when he returned to see an owl named GiGi. The bird lifted her wings as he held her and laid her head on his shoulder. He had helped to nurse the owl back to health alongside Missy Dubuisson - the founder and director of the rescue - when she was brought in in late May. She was found to have suffered head injuries - believed to be from a car crash - and a fungal infection in her lungs. Photos capturing the moment have gone viral since the rescue posted them on their Facebook page, writing: 'Nothing these birds of prey do any more surprises me. The post says that the winged animal 'threw both wings around him and gave him an owl hug' when he approached. It adds that she was calmed by Doug's presence, eventually laying her head on his shoulders in a state of 'pure contentment'. 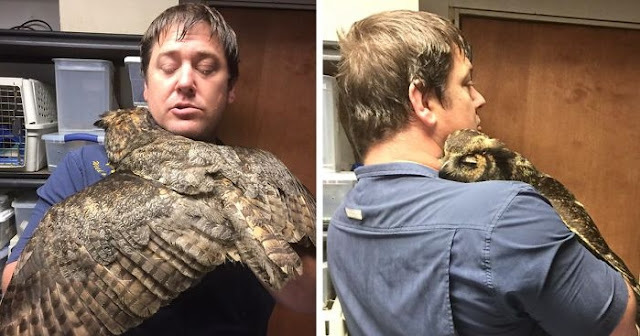 Responses to "Owl gives the biggest hug imaginable to the man who saved her life"